I read it to my dearest friends after dinner once, and to my family at Christmas, and they started crying. Which always, unfailingly, makes me cry. 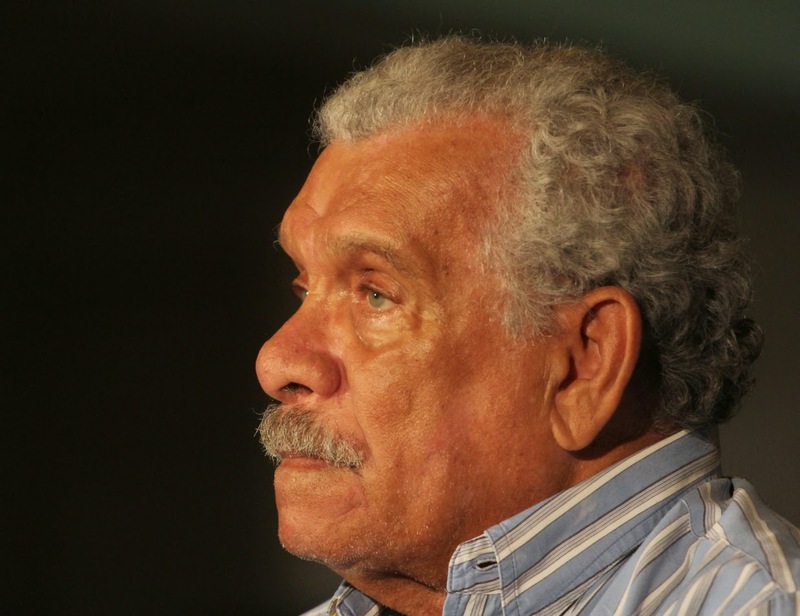 Derek Walcott, a Saint Lucian poet and playwright. VIII Festival Internacional de Poesía en Granada, 2012. Source. In Poems That Make Grown Men Cry by Anthony and Ben Holden, actor Tom Hiddleston (known for roles in The Avengers and War Horse) selects “Love After Love” by Derek Walcott as his choice for the anthology. Most of us are motivated deep down by a sense of insufficiency, a need to be better, stronger, faster; to work harder; to be more committed, more kind, more self-sufficient, more successful. We are driven by a sense that we are not, as we are, ‘enough’. “Love After Love” alternatively, is “like a declaration of unconditional love” that asserts “we are each of us whole, perfectly imperfect, enough.” We can read it to become more aware of the present moment, gain a sense of calm, and feel grateful for what we do have, rather than what we do not. It’s a powerful piece of writing that achieves this.